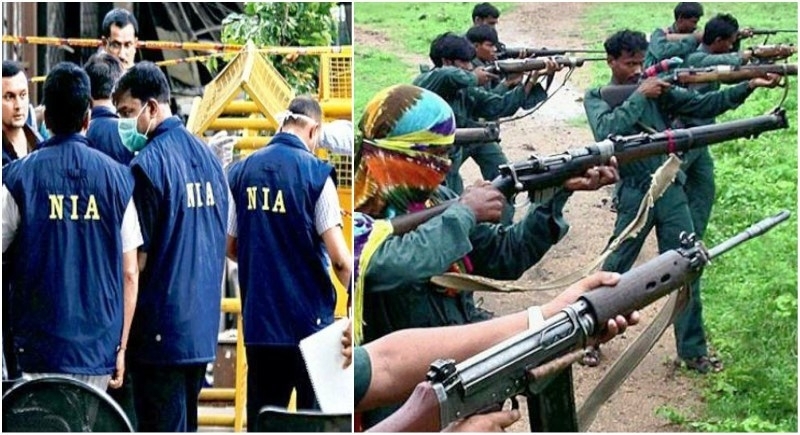 Ranchi, March 27: A team of National Investigation Agency (NIA) carried out an intense search in two offices of Vikas Mutual Benefit Nidhi Limited in Jharkhand capital Ranchi as a part of a crackdown on Maoist funding. During the raids which began on Friday, two laptops, two CPUs, one Pen drive and a large number of incriminating documents were seized, sources said on Sunday. CPI(Maoist) zonal commander Chhotu Kharwar, alias Sujit, had allegedly invested Rs 15 lakh in two branches of Vikas Mutual Benefit Nidhi Limited at Hesal and Bero in Ranchi after demonetization in December 2016. Investigations revealed that the duo was meeting with left-wing extremists and providing them shelter and funds. It was also revealed that they were moving money for the terrorists. Most of the money meant for terror-related activities was parked in their names, the NIA also said. On December 22, 2016, Latehar police had arrested the Balumath branch manager of Sahara India for allegedly whitewashing Rs 15 lakh of demonetized notes belonging to Kharwar. The searches were carried out in connection with an investigation of a case in which it was found that senior cadres of the banned organization of CPI (Maoist) had invested terror funds in various schemes of the company through these offices.